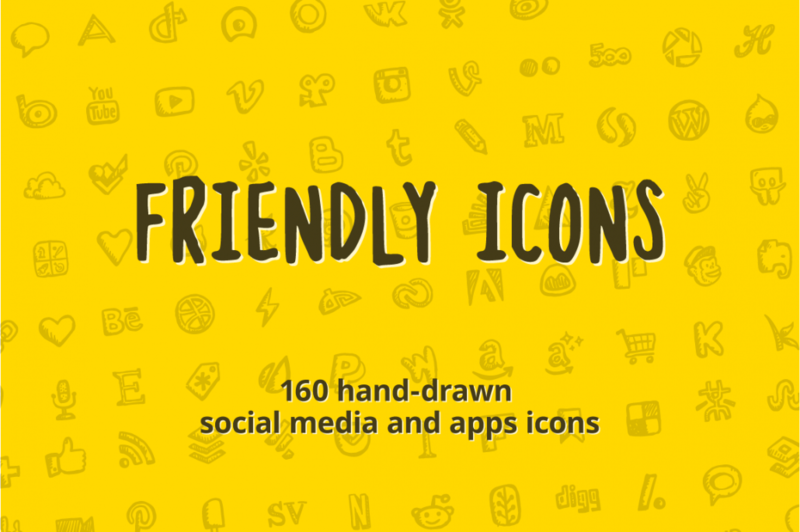 Topics covered: web, interfaces, technology, communication, e-commerce, food, leisure etc. 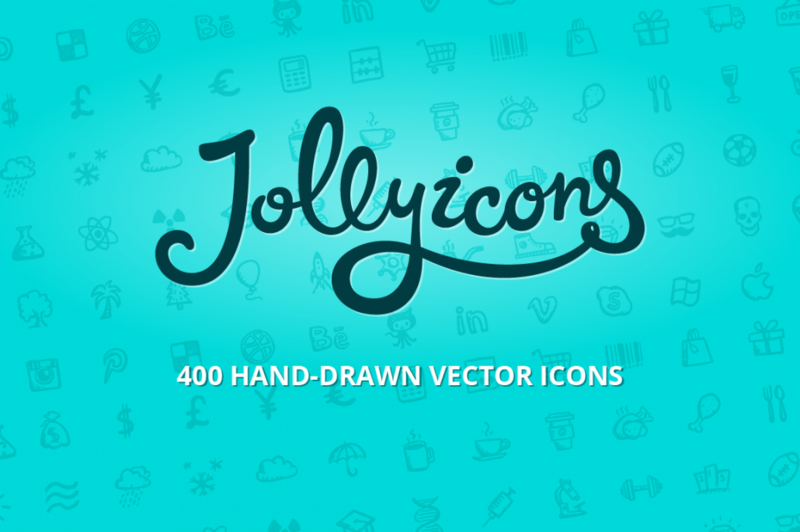 Busy Icons is a set of 340 hand-drawn business and office icons painted with love to add personality and joy to your project. 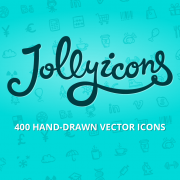 Must have for every designer, who wants to create a hand-drawn website, application, presentation or print media. 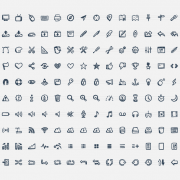 Topics covered: business, management, finance, human resources, investments, startups, marketing, time management and productivity, strategy, e-commerce, office, etc. 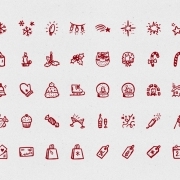 Brainy Icons is a set of 280 hand-drawn science and education icons painted with love to add personality and joy to your project. 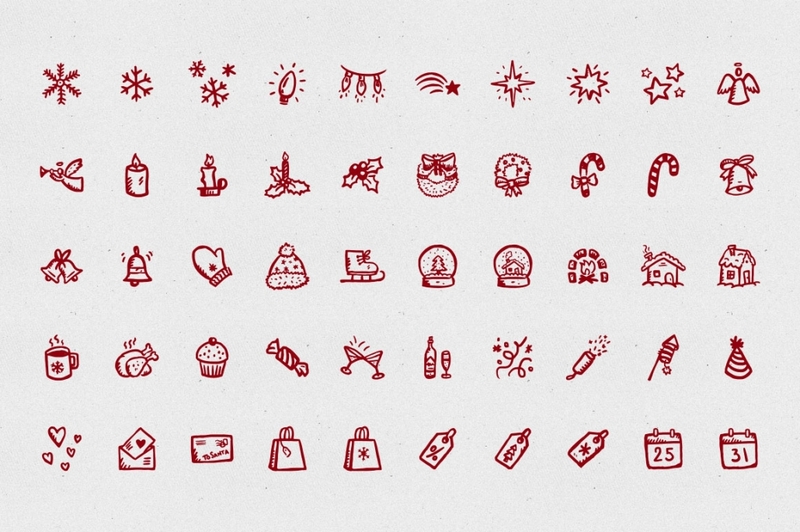 This icon set was created to illustrate science related materials and concepts. 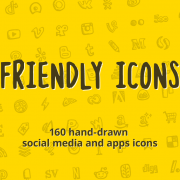 It’s perfect for educational websites, online classes, knowledge networks, science projects and apps. 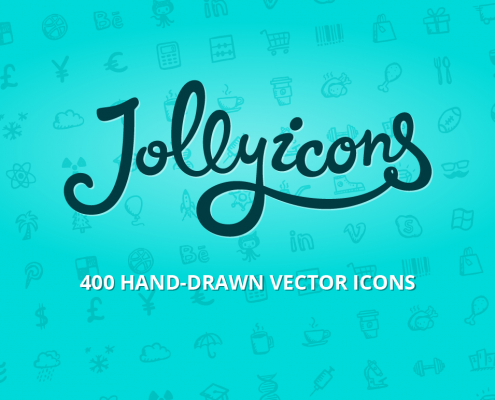 Must have for every designer, who wants to create a hand-drawn website, application, presentation or print media. 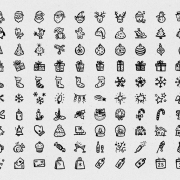 Topics covered: school, university, laboratory, physics, chemistry, math, space, technology, education etc. 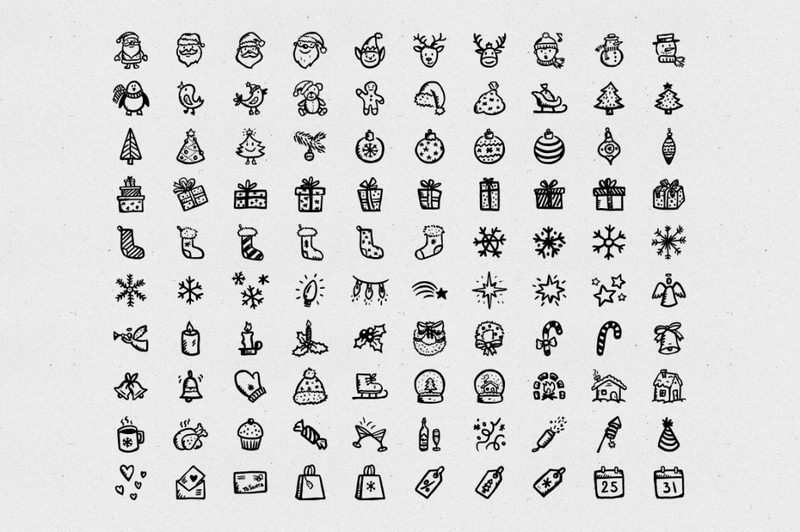 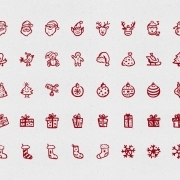 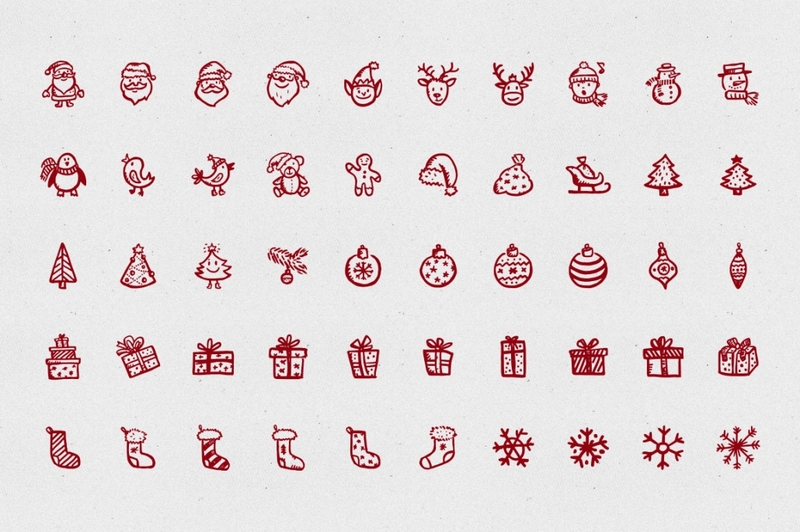 Get ready for coming holidays with this icon set that contains all the symbols and icons of Christmas and New Year! 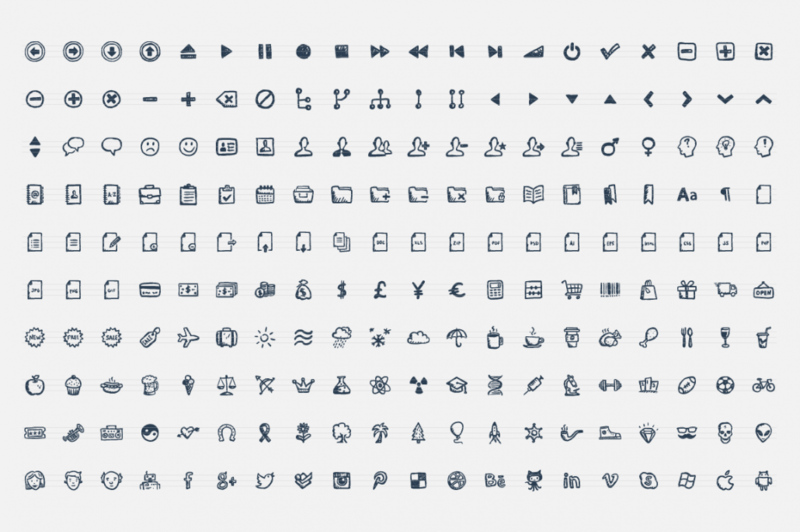 These icons can be used in web design and apps as well as in greeting cards, posters, t-shirts, brochures or any other print media. 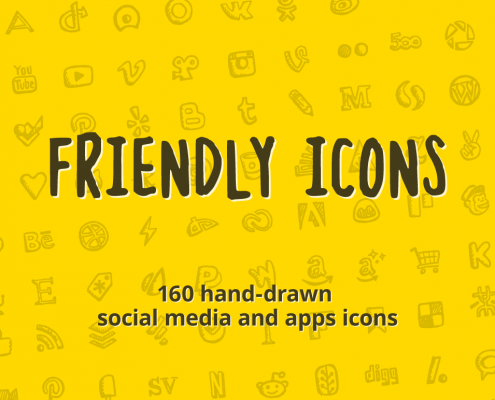 Friendly Icons is a set of 160 hand-drawn social media and apps icons. 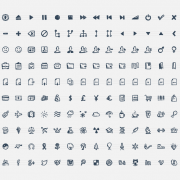 Besides usual social networks there are icons for browsers, mobile and gaming platforms, programming languages, cloud storage services and much more. 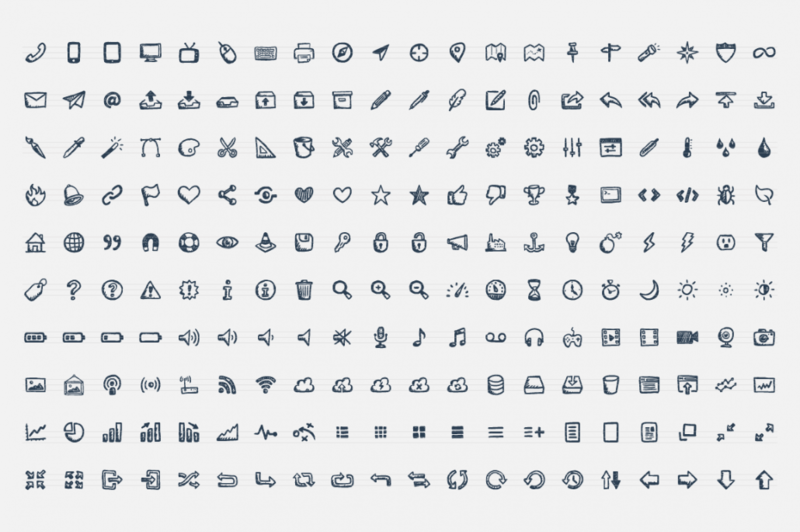 All the icons are vector shapes, so you can easily scale them or change colors.